Poetry is in the air during April: not only is it National Poetry Month, but days like Haiku Poetry Day and Poem in Your Pocket Day encourage families to explore the wonders of words. 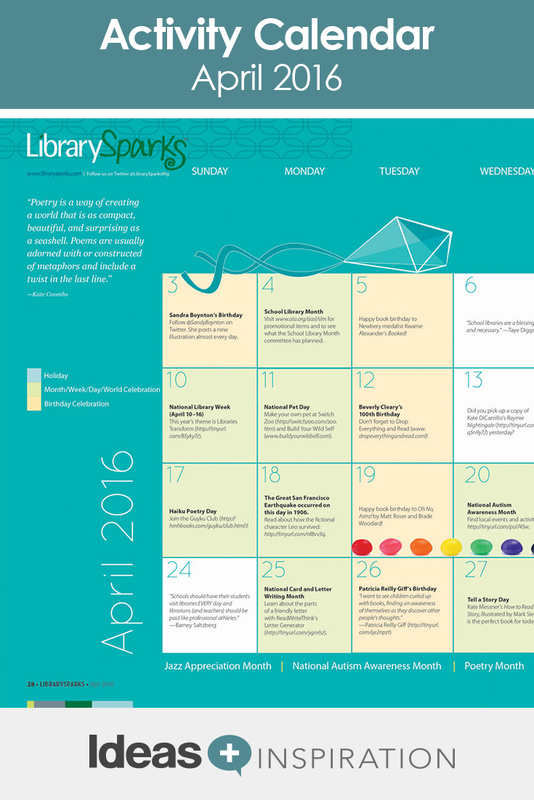 It’s also School Library Month, so you’ll find a plethora of activities and resources to help you showcase all your library has to offer. 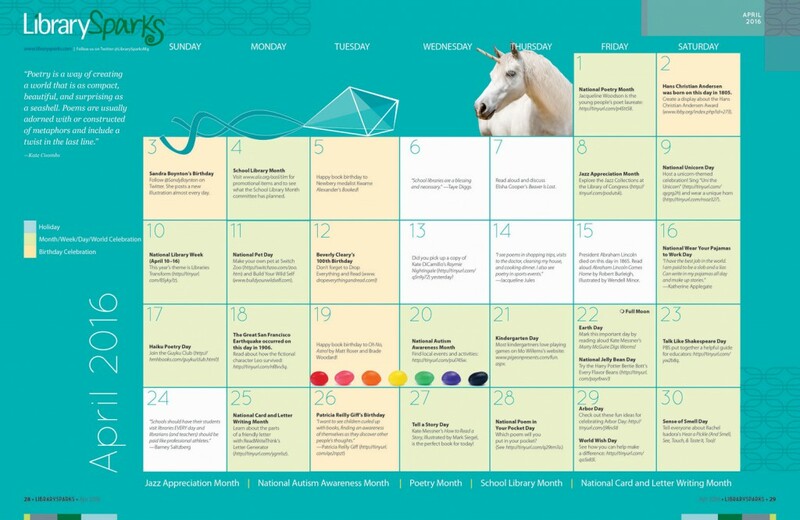 And with fun days like Unicorn Day and Jelly Bean Day sprinkled throughout the month, the possibilities to get creative are endless! Thanks for the April 2016 calendar. My 8 1/2 x 11 printed copy is colorful, but I cannot read what is printed under the individual days. Help, please. Cheryl, we’re so sorry to hear that the calendars are not printing legibly for you. We tested it on our side, and it printed correctly. Maybe try adjusting your printer settings and give it another try?